The IN/OUT switch is controlling all the ByPass Relays on both the MIX OUT and the normal OUTPUT, allowing you to compare the signal and keeping flicking the BYPASS IN and OUT until you are happy with your Mix. The FAIRCHILD670 mkII is designed to let the signal go through when the unit is turned OFF thus allowing you to only turn your unit ON whenever you are ready to print or process any audio. No interruptions and no Patching to do. 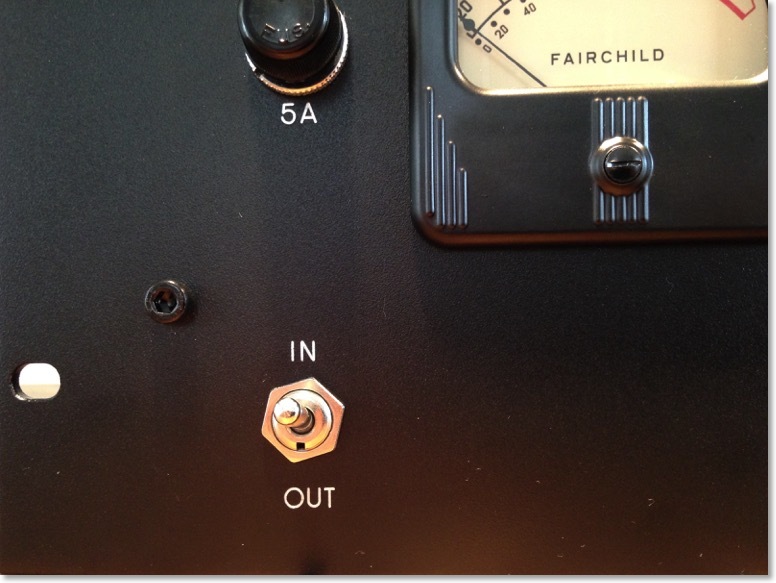 The relay operated Hard ByPass on the FAIRCHILD670 mkII also allows you to turn the unit off and save your tubes whenever you don’t need to hear any magic on your mix.